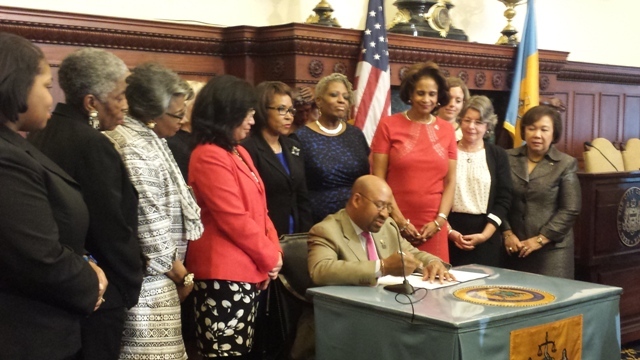 Mayor Nutter signs a bill asking voters to create a permanent Philadelphia Commission for Women. 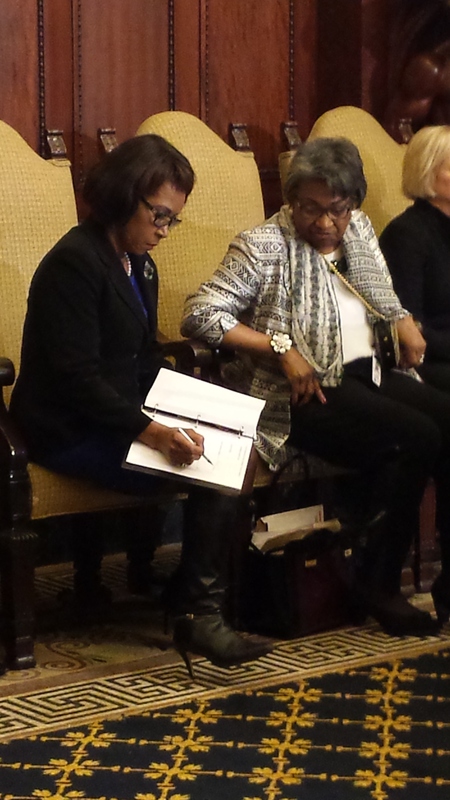 City Councilwoman Blondell Reynolds Brown makes a last-minute edit to her prepared comments during a Women’s History Month program at City Hall. 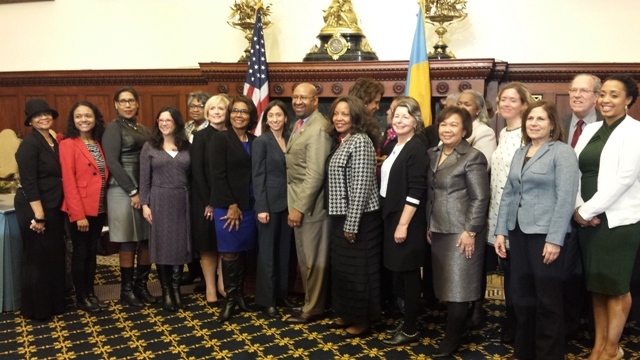 Mayor Nutter, City Councilwomen Blondell Reynolds Brown and Maria D. Quiñones-Sanchez join a host of women who testified on behalf of creating a new Commission for Women, including PCHR Executive Director Rue Landau and Commissioner Shalimar Thomas. 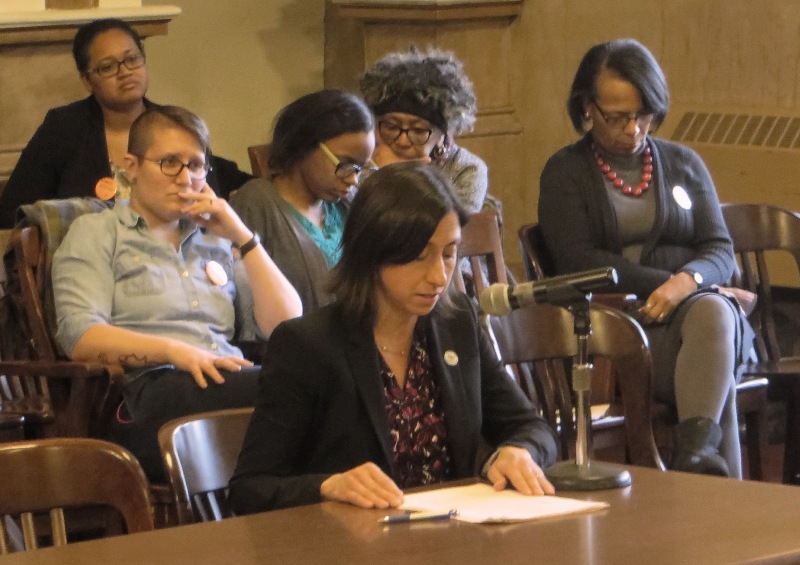 The Women’s History Month program also featured an important part two: the enactment of legislation that will move the city a step closer to reintroducing a Commission for Women. Mayor Michael A. Nutter signed Bill No. 140230, allowing voters in the Mayor 19 primary election to decide whether to update the city’s charter and make such a commission a permanent feature of municipal government. PCHR testified in favor of this action in February. 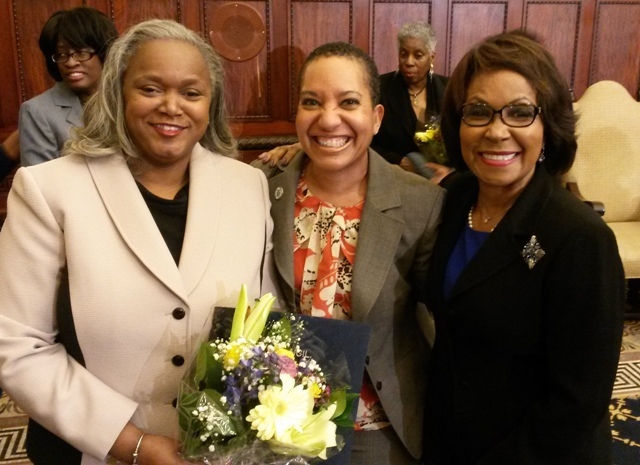 Philadelphia Revenue Commissioner Clarena Tolson, PCHR Deputy Director Pamela Gwaltney and City Councilman Blondell Reynolds Brown share a moment of celebration and sisterhood.